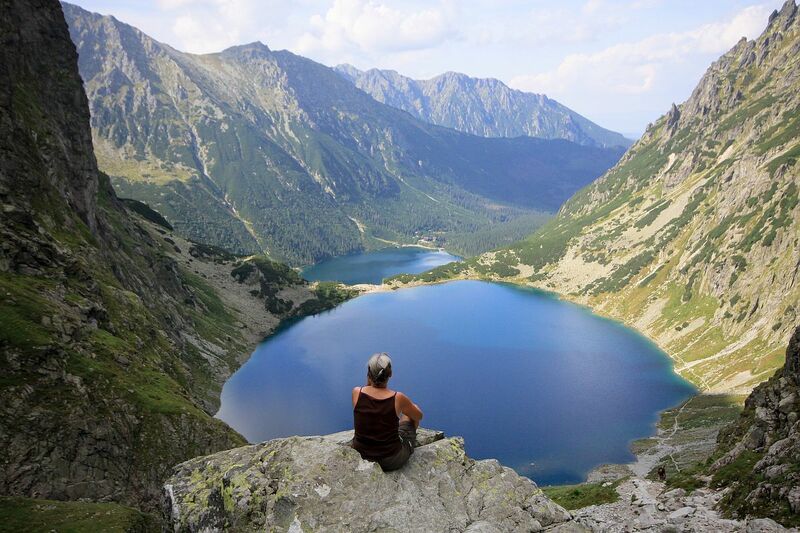 From steep sandy sea cliffs in the north to snow-capped mountain peaks in the south, Poland’s national parks are a hidden treasure for nature enthusiasts. Take a walk on the wild side with us and experience 10 of the best open air spaces the country has to offer. Recognised as the country’s oldest national park, Białowieża is located northeast of Warsaw, adjacent to the Belarusian border. Since 1979, it’s been on the UNESCO World Heritage Site list, thanks to its rich biodiversity and undisturbed nature (part of the park has been left untouched for over 800 years, and is now only accessible to biologists working on-site as well as small guided tourist groups of no more than 20 people). The park is home to over 250 bird, 13 amphibian, seven reptile and over 12,000 invertebrate species as well as 59 mammal species – including the largest population of European bison on the continent. Białowieża village is the area’s main tourist hub – here you can book tours, hire bikes and visit the Museum of Natural History and Forestry. An easy 30 minutes’ drive from Warsaw city centre, Kampinos (also referred to as Puszcza Kampinoska) is the capital’s main weekend getaway, where you’re likely to see many cyclists and casual strollers, especially on a sunny day. If you’re lucky you might also spot some beavers, lynxes or elks roaming among the pine trees. To find out more about the species, head to the Kampinos Museum (Muzeum Puszczy Kampinoskiej) on the southern outskirts of the park. For history enthusiasts, there are numerous war cemeteries dotted across the area such as Palmiry. The Tatra National Park is a great place to discover Poland’s highest mountain peaks, endemic animals such as the Tatra chamois, marmot, grey wolf and lynx, and plant species including spruce, fir, larch and Carpathian birch. 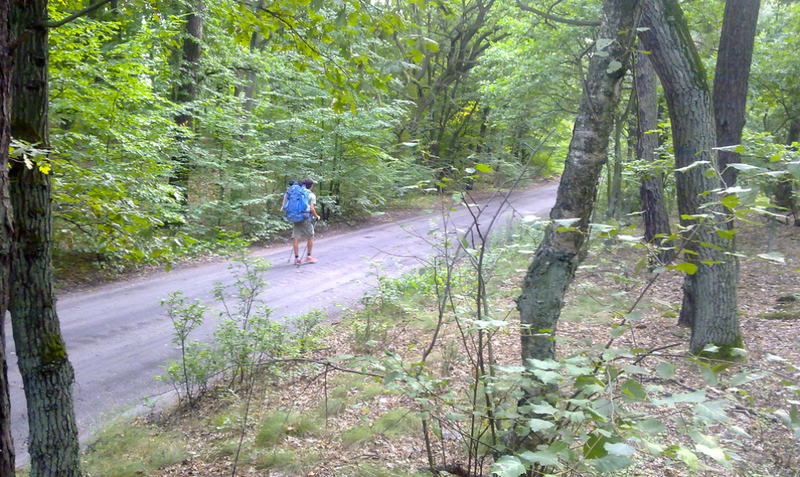 It’s the Poles’ favourite skiing resort during the winter, and a great hiking destination all year round. Stay in the region’s main town of Zakopane, where you can immerse yourself in the traditional highlander culture, try the region’s signature foods such as oscypek (smoked cheese made from salted sheep milk) and admire the quaint wooden cottages. 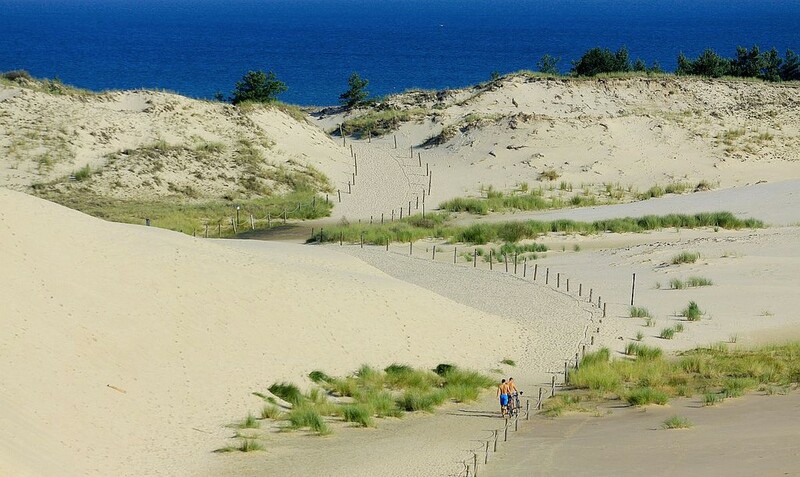 Famous for its breath-taking shifting dunes, which are pushed three to 10 metres a year by the winds and rise up to 42 metres (137.7 ft) above sea level, Słowiński National Park is located just off the coast of the Baltic Sea. It spans over 186sq km with 140km of tourist trails, and is sandwiched between two lakes (Łebsko and Gardno) with 257 bird species including erne, eagle owl, swans and black storks inhabiting the area. Make sure you visit one of the seaside resorts nearby, Łeba or Ustka, which both boast beautiful white sandy beaches. The Bory Tucholskie National Park in northern Poland covers an area of over 45 sq km characterised by peatlands, pine forests, lush green meadows and long and narrow post-glacial lakes. From deer and wild boar, to trout, crane, eagle owl and bat, you can encounter numerous animal species inhabiting the area. 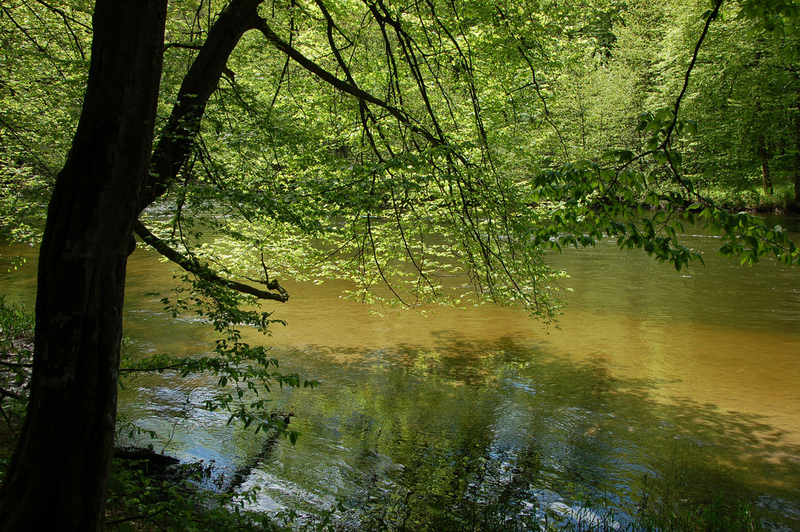 Aside from hiking or cycling, in the summer you can also discover the park kayaking through its Brda River. 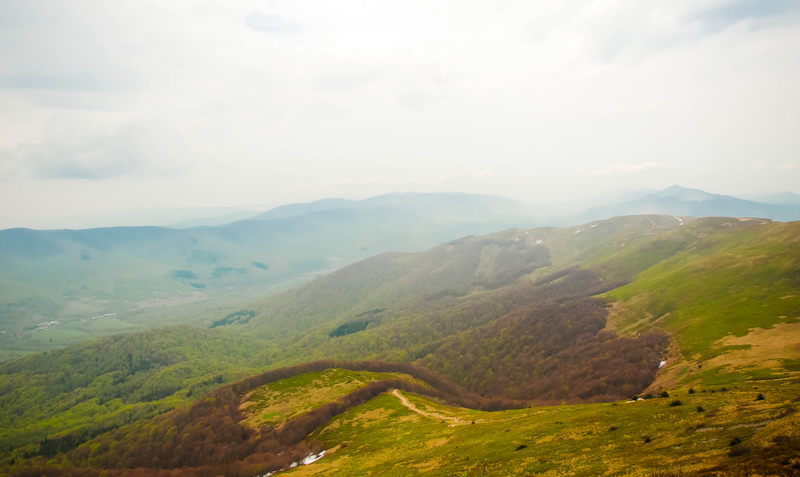 Another heaven for nature lovers is the Bieszczady National Park, located in the remote south-eastern corner of the country bordering with Ukraine and Slovakia. Considerably less touristy than the Tatra National Park, it’s a great alternative for people looking for a quiet, isolated getaway. Facilities are also quite limited. The highest peak Tarnica measures only 1,346 metres (4416 ft) above sea level, but offers splendid views over the area densely populated by woodlands and meadows. Don’t miss the Solina dam and artificial lake, and historical orthodox churches dotted around the area. 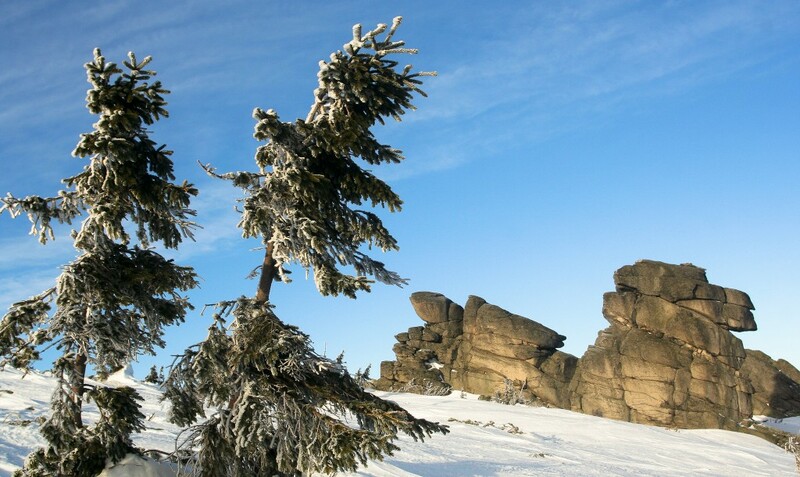 Over in the south west of Poland by the border with the Czech Republic, Karkonosze Park is particularly interesting for its peculiarly shaped Pilgrim rock formations, flat bare mountain tops and wild mouflons, which were brought over from Corsica and Sardinia over a century ago. The main tourist hubs with plenty of accommodation options are Karpacz and Szklarska Poreba. 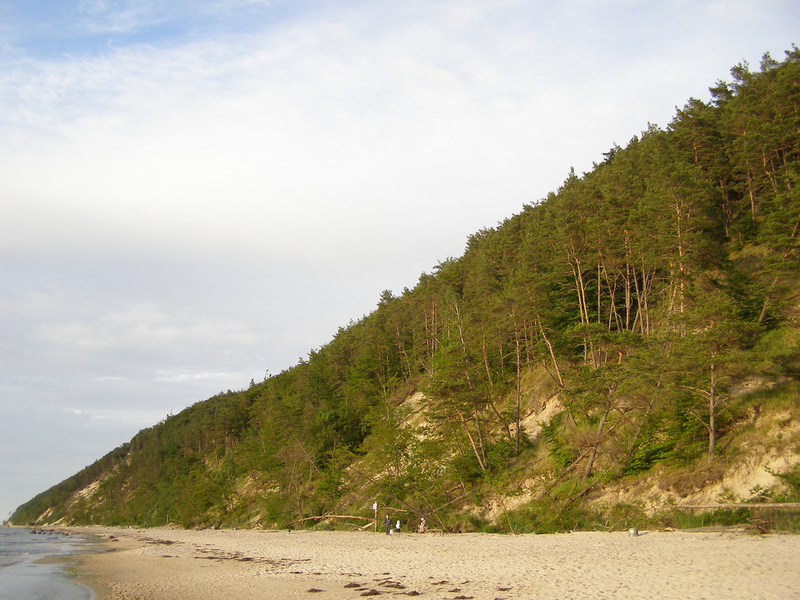 Covering a sizeable part of the Wolin Island on the western side of the Polish coast, the Wolin National Park’s highlights include a stunning 15 km long stretch of steep sea cliffs (which recede approximately 80 cm per year due to erosion), lakes and rivers surrounded by pine trees, numerous bird species and a small bison reserve. The park is in close proximity to Międzyzdroje which is one of the biggest beach resorts in the country and gets very crowded during the summer. This park is located in the heart of Pieniny – one of the country’s most picturesque mountain ranges. 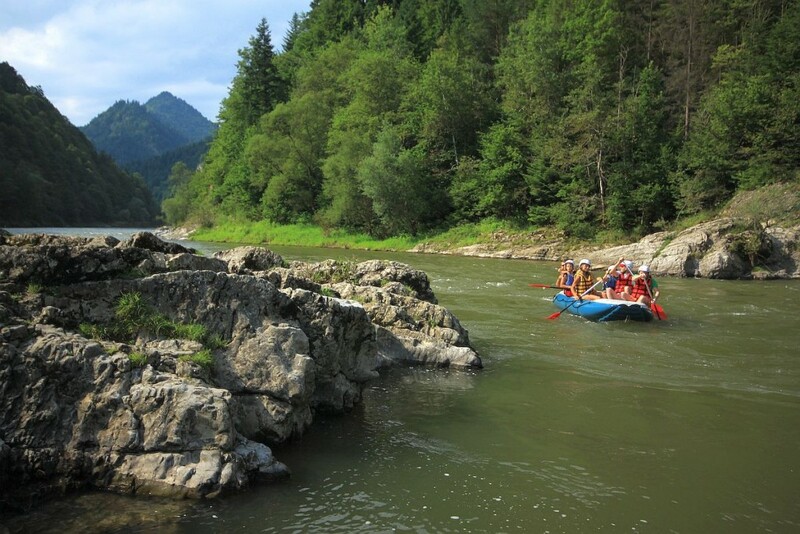 By far the most popular activity is taking a raft down the winding Dunajec River (available from April to October), but there is a lot more to discover. 34 km of walking trails will lead you to an observation deck on the sharply peaked Three Crowns mountain (982 metres/ 3221 ft above the sea level), there are mineral springs in Szczawnica or a medieval castle in nearby Niedzica. 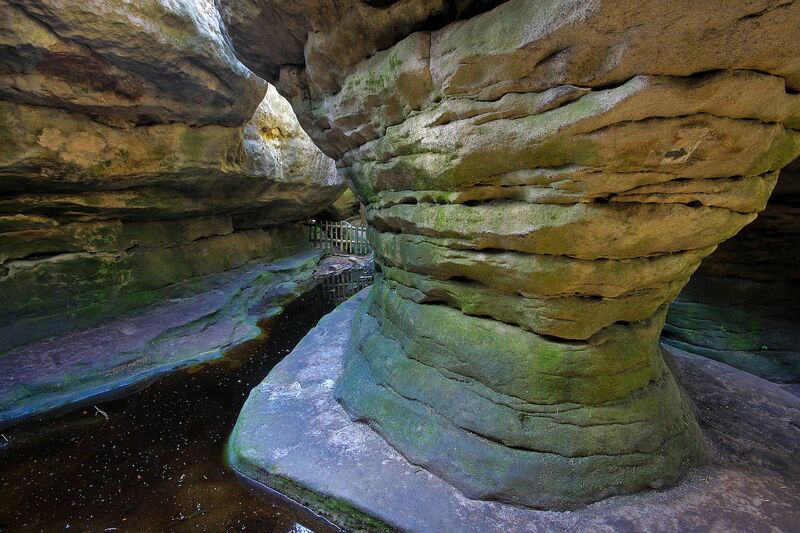 The park covers a large part of the Stołowe Mountains (also known as Table Mountains) in the Lower Silesia region, which are characterised by unique plated rock formations and labyrinth-like passages. The park’s vast green spruce forests are also home to a variety of flowers such as Turk’s cap lilies, carline thistles and globeflower as well as mouflons, deer, grouse and eagle oaks. Since the Middle Ages, the natural springs at the nearby spa resorts of Duszniki Zdrój and Polanica Zdrój are renowned for their healing properties. Frederic Chopin visited the Duszniki Zdrój spa in 1826.